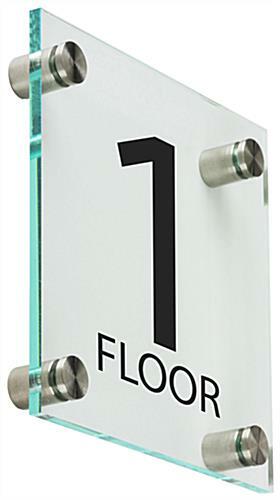 This acrylic wall mounted floor number signage is compact and sleek, and the bold stock messaging can be easily seen by visitors from afar. 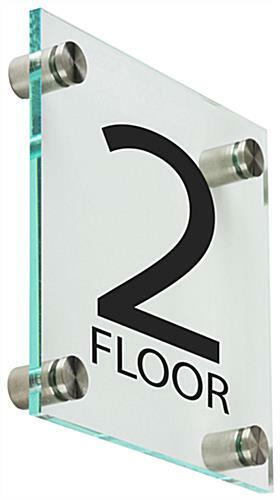 Place these sign holders with stock graphics that are elevator floor number signs are perfect wayfinding tools in any business setting. 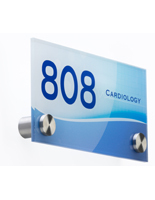 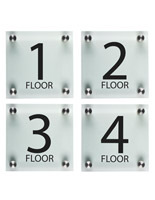 This wall mounted floor number signage is great for apartment buildings and corporate or professional offices. 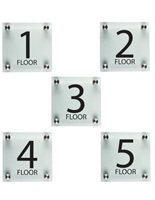 Place these number signs near an exit door, in a stairwell, or interior hallway for wayfinding purposes. 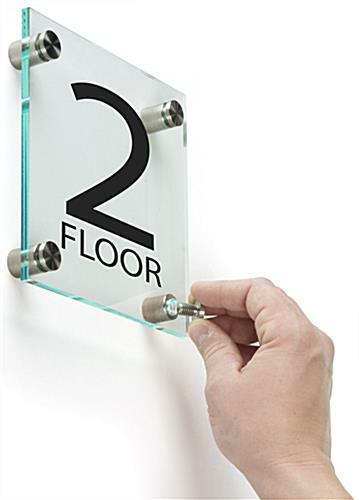 These displays have a green-tinted edge to enhance the decor. 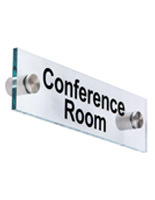 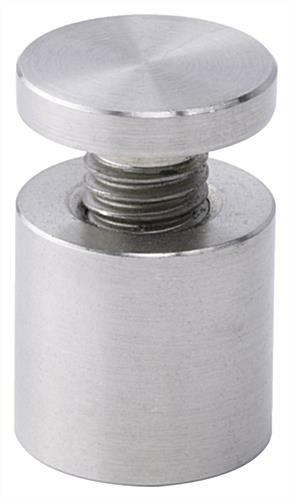 These fixtures come with four 1" steel standoffs for wall mounting, and ship two panels per unit. 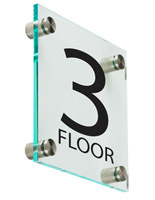 Note that this mounted floor number signage is not compliant with ADA requirements for visual impairment.